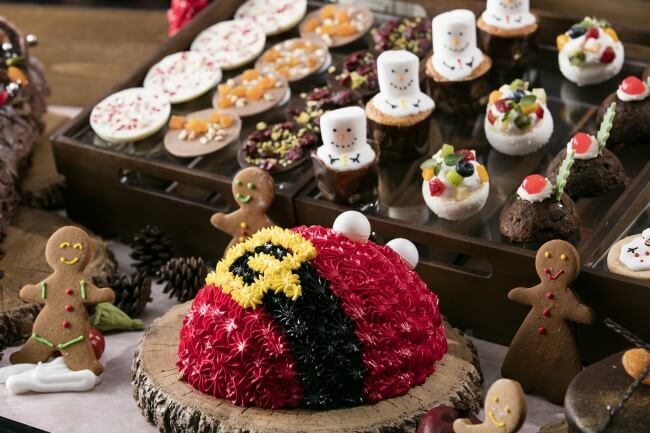 Hilton Tokyo Odaiba will hold a new dessert promotion (holiday dessert buffet) called “Miniture Christmas Market no Sekai” at “Seascape Terrace Dining” from the 1st of November (Wed.) to 25th of December (Mon.). 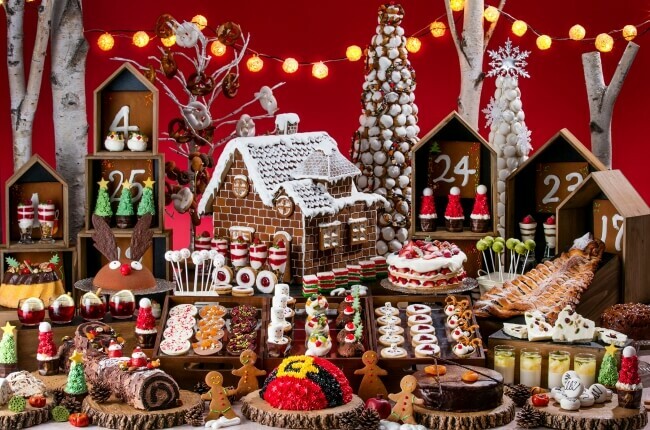 The world of a mysterious miniature Christmas market centering around a ginger bread house will be set up. 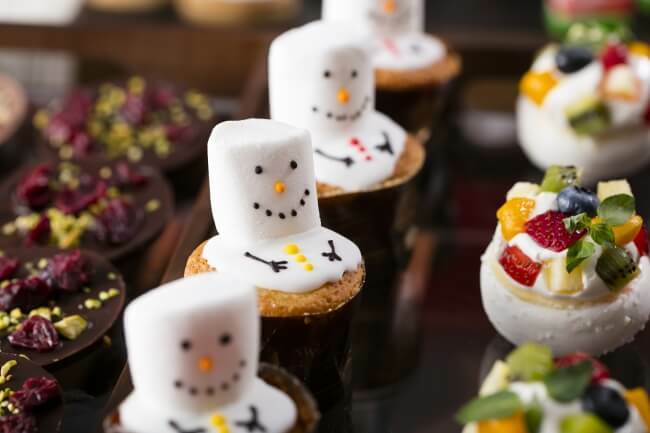 The desserts created in detail include sweets depicting the residents of the ginger bread house which are Santa Clause, a snowman and a reindeer and cute desserts from all over the world. 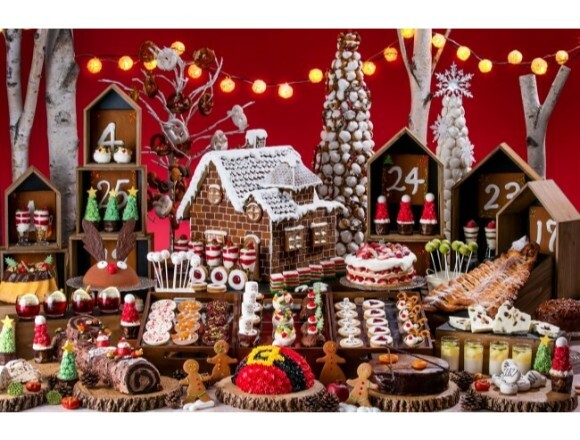 Thirty-five kinds of colorful desserts and decorations will take you to a wonderful world of Christmas. The buffet will have two sessions, one which is from 15:00 to 16:30 (90 minutes) and the other from 16:45 to 17:30 (45 minutes). 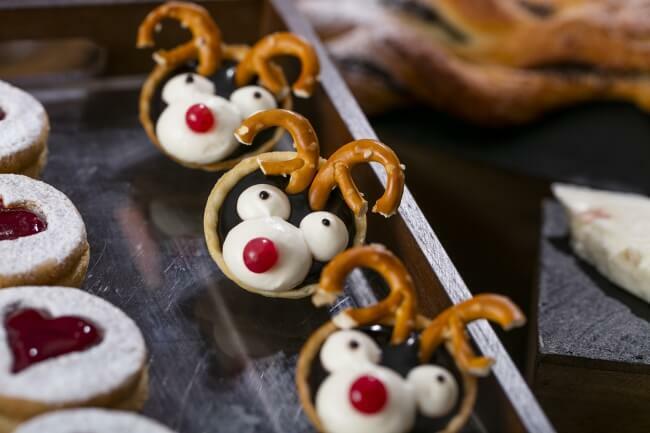 Hilton has been offering dessert events “＃ Hilton Sweets” aiming to offer their customers “desserts with a catchy impact” and “photogenic buffet tables which make the visitors want to share photos with their friends. The dessert events of Hilton are one of the most popular buffets around the world. After entering the entrance of “Seascape Terrace Dining,” you will see the world of a miniature Christmas market where the residents of ginger bread house gather. 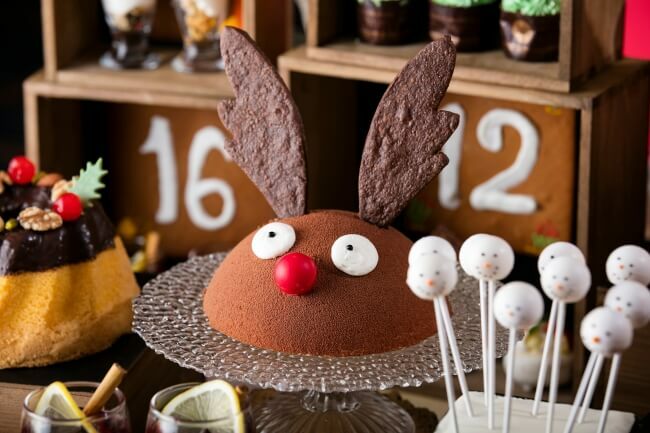 The wall-nut flavored zuccotto (Italian cake) is shaped like a reindeer which has horns made of cookies. The cherry butter cream cake and the Kirschtorte (Germany cake) both have a unique design reminding us of the round tummy of Santa Clause. 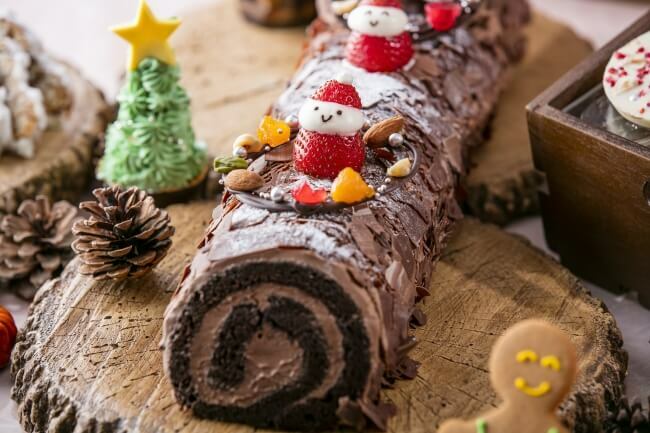 The 2m wide bûche de Noël (French traditional cake) is decorated with many mini Santa Clauses made out of strawberries. A small English Christmas pudding using lots of dried fruits is also available. Kouglof from Australia and Stollen from Germany can also be enjoyed. Photogenic items such as “Snow Snow Marshmallow Cup Cake,” “Marshmallow Snowman Cookies,” “Snow Snow White Lollipop” and “Tonakai no Nama Choco Tart” which has horns made with brezel should be checked out too. Moreover, you can make your own original gingerbread man at the event titled, “Watashidake no Ginger Man Bread” where you can decorate your gingerbread man at will. 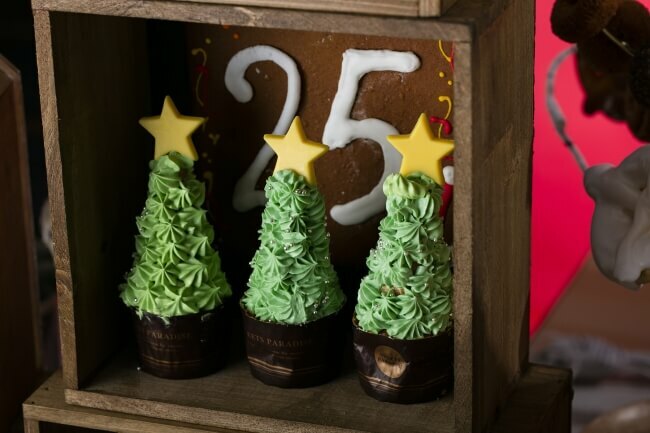 Why not enjoy this photogenic Christmas event with lots of cute desserts.